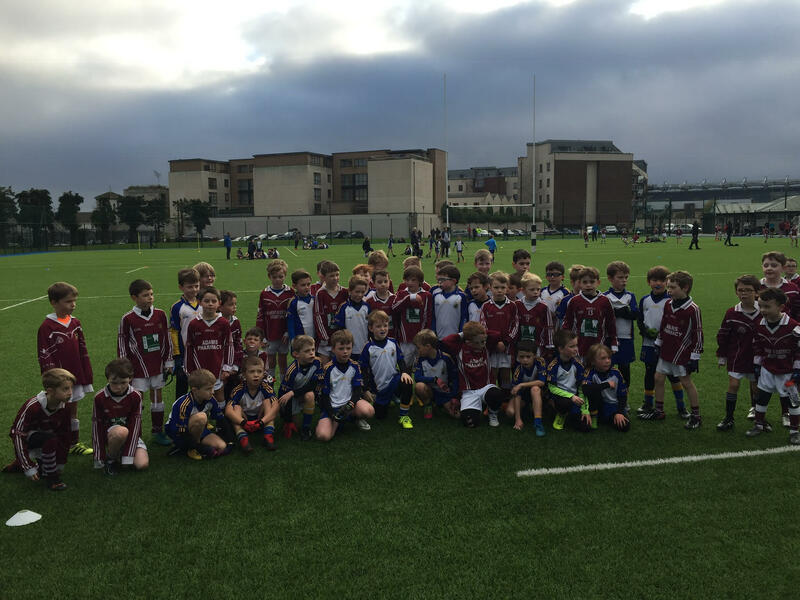 Saturday 17th November marked the end of a very busy year for our P4s, P5s and P6 (U8s & U10s) boys’ footballers. 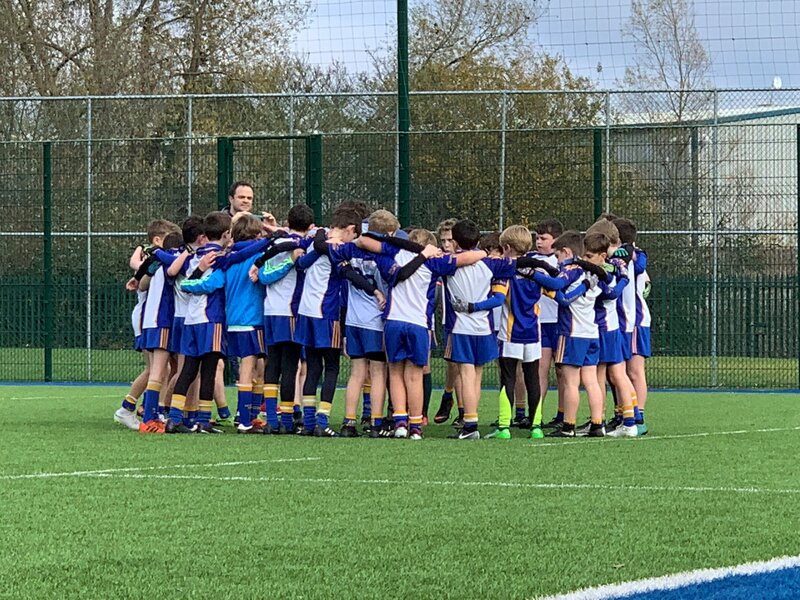 Nearly 70 kids and 30 adults made an early start from Harlequins to head for Raheny GAC in North Dublin. We arrived at Belvedere College , in the shadow of Croke Park, to play a series of matches. 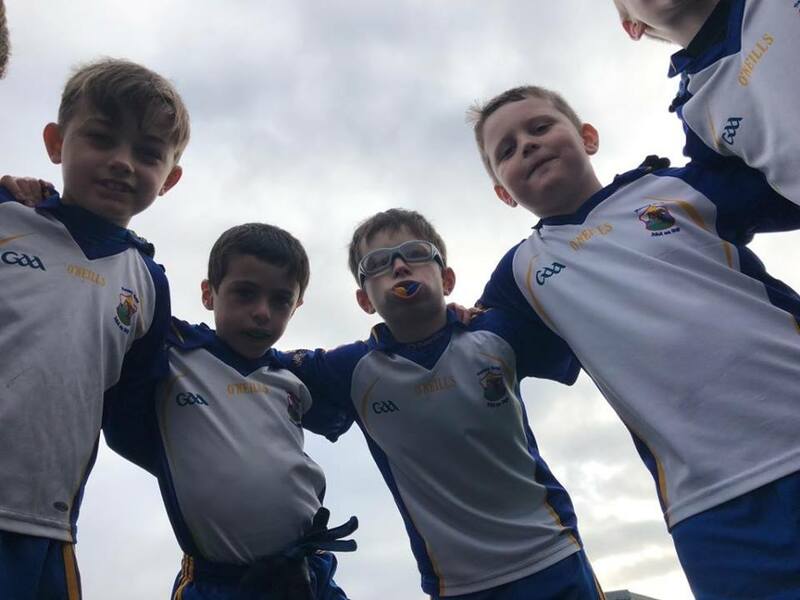 Our U8s were up first up and put on a fantastic display of skill against all the Raheny teams. 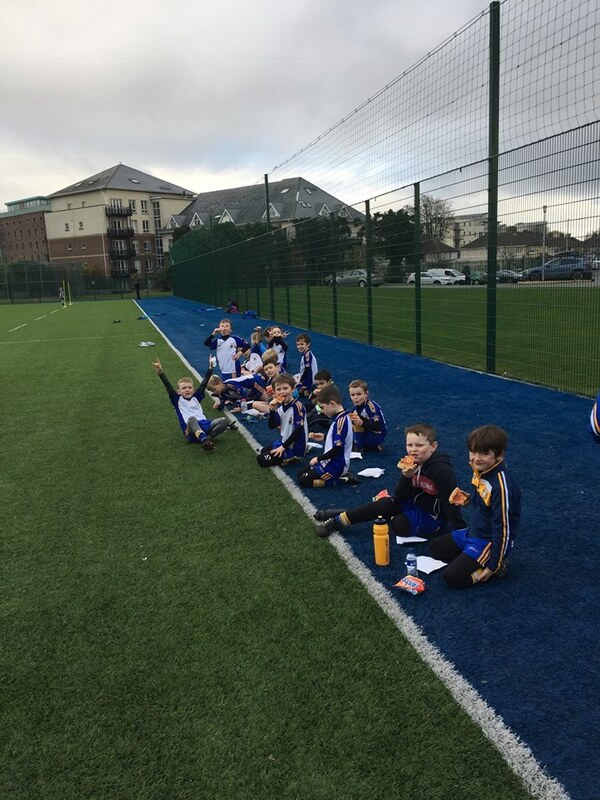 After three matches for the whole squad, the boys all rested and enjoyed some well deserved pizza while the U10s took the field. 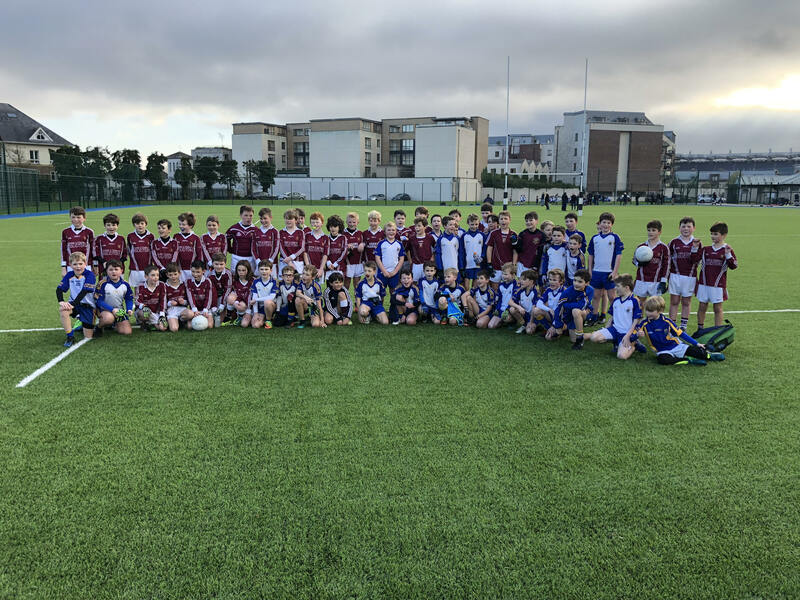 The U10s faced three superb Raheny teams and met the challenge accordingly. They put on a great display of determination, physical strength and skill to do well across all across all the games. 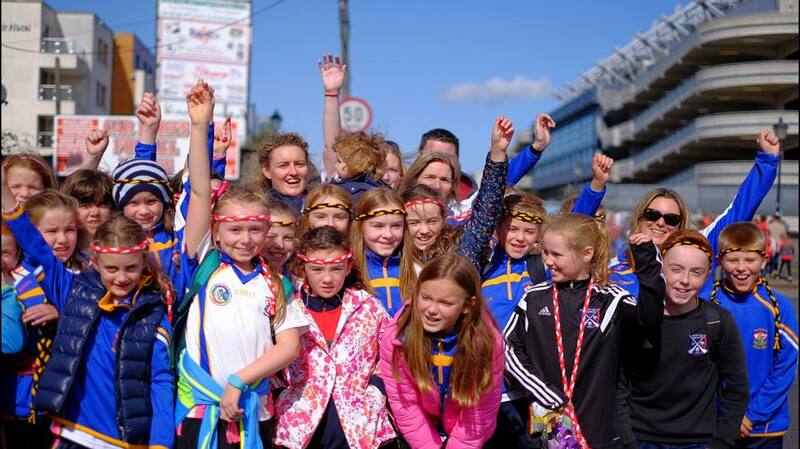 Once finished it was their turn for pizza before we all walked across to Croke Park. 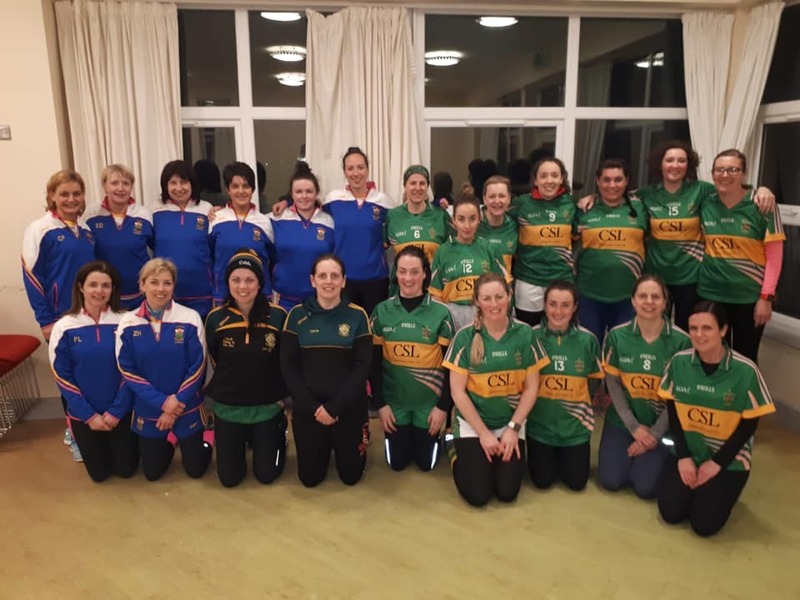 Thanks so much to Raheny GAC for their generous hospitality in arranging the games and food for us on the day. 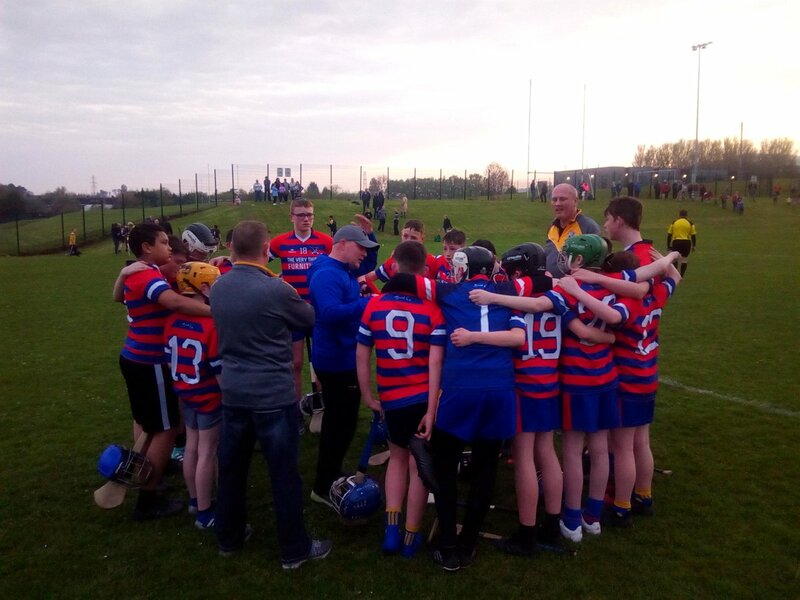 The boys enjoyed every minute of it and we look forward to Raheny joining us in Belfast in the new season. 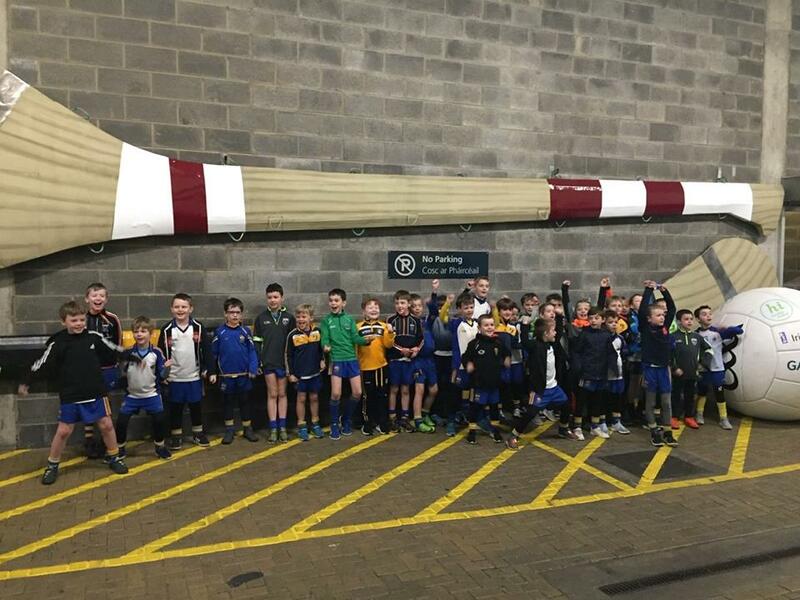 At Croke Park, the boys and parents enjoyed a tour of the ground, changing rooms and museum. It was great opportunity for them to learn about the history and stature of the national game. 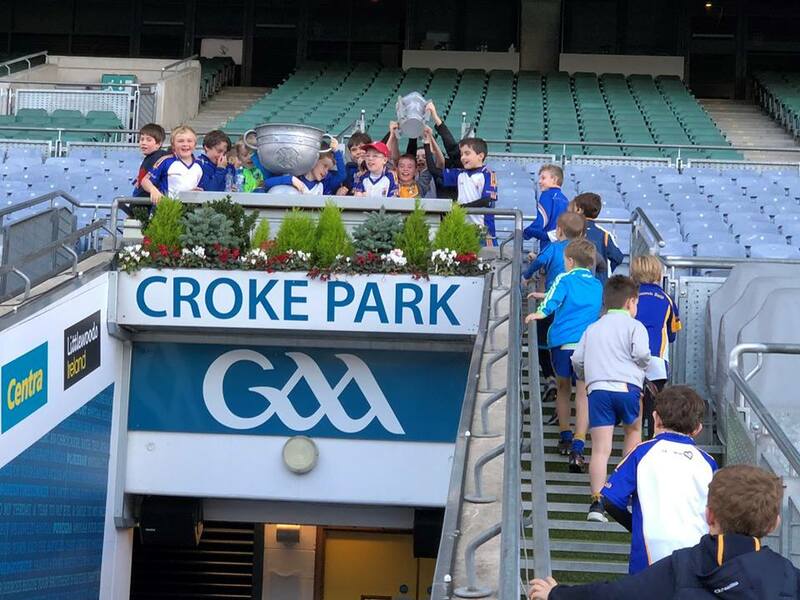 The day was rounded off with a medal presentation for all the boys overlooking the Croke Park pitch. 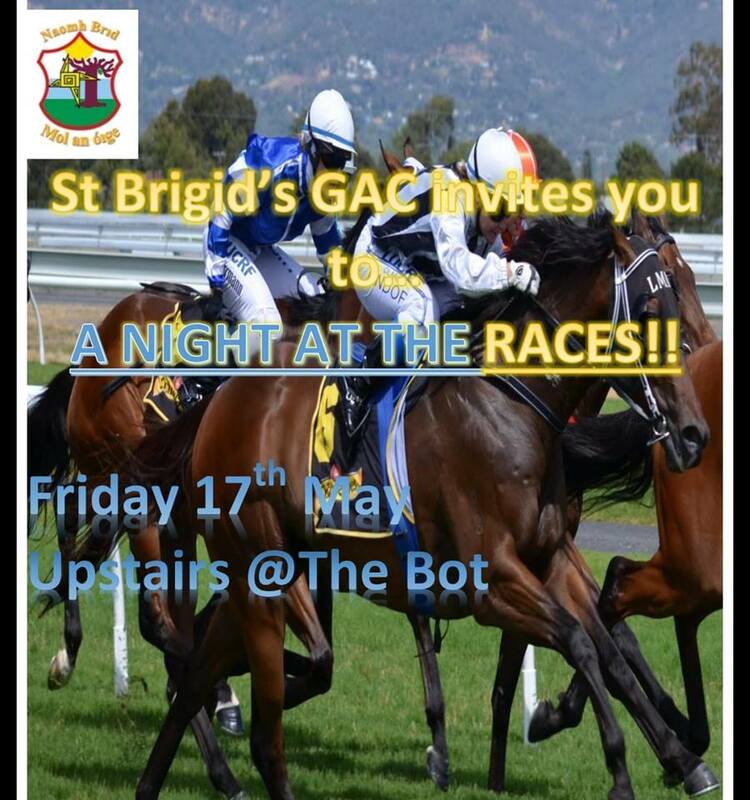 Despite a last minute hitch of a burst tyre on one of the coaches; everyone return home safe, sound and very tired on Saturday night. Thanks to everyone who helped to make this fantastic trip possible. 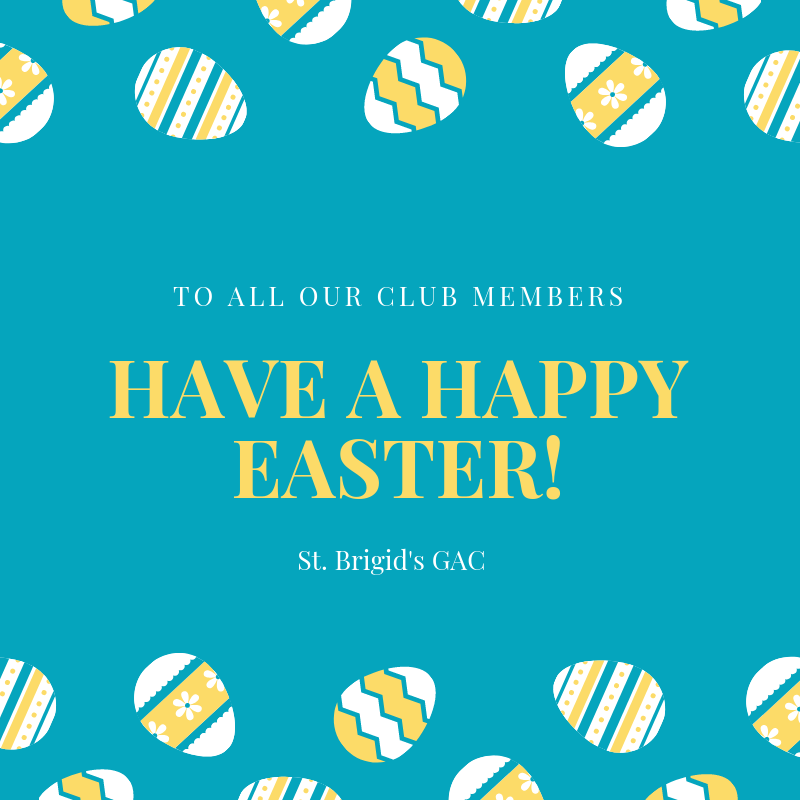 From our U8/U10 coaching group, our supportive parents, Raheny GAC and Lambert Smith Hampton (through Donall McCann) who sponsored the whole thing. The boys now have a chance to enjoy a well deserved winter break before we go again in the New Year.